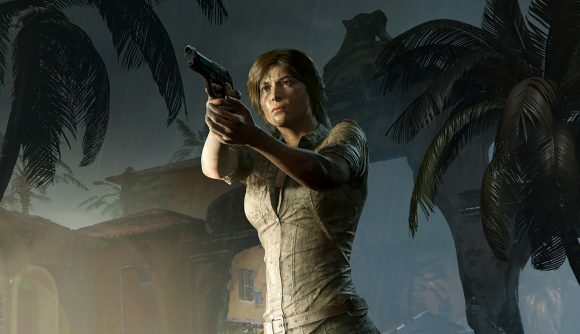 Shadow of the Tomb Raider hasn’t done particularly well in terms of physical sales since its release last week. Lara’s latest adventure has seen physical sales in the UK down 70% compared to the 2013 reboot, and has been held off the top spot by another strong performance by Insomniac’s PlayStation exclusive, Spider-Man. It’s worth pointing out, however, that the Tomb Raider series has had a slightly potted history when it comes to physical vs digital releases. The reboot, which came out in 2013, released at a time when digital releases were well established, but still growing – not quite the truly dominant force they are today, particularly on console. The next game, Rise of the Tomb Raider, had a timed exclusive, during which time it was only available on Xbox One. That may go some way to explaining why that game is the most popular of the trilogy on Steam. According to Steam Charts, it peaked at a player count of more than 44,000, compared to 29,000 for Tomb Raider, and a current high of just under 38,000 for Shadow. Of course, that still means that Shadow is being outperformed by one of its bigger sisters, but that’s just on Steam. Digital downloads aren’t covered by UK chart trackers, and with no exclusivity deals in place, I’d imagine that Shadow of the Tomb Raider is probably doing just fine in terms of digital console sales. If you’re yet to make your mind up on the new Tomb Raider, you can check out our Shadow of the Tomb Raider review. If you’ve already started off on Lara’s adventure but you’re struggling, check out our Tomb Raider tips, covering everything from stealth takedowns to how best to handle your outfit to survive in the Jungle.